People with diabetes want heart-healthy recipes, since heart disease strikes people with diabetes twice as often as the rest of the population. But they also want recipes that taste great. In Diabetes & Heart Healthy Meals for Two, the two largest health associations in America team up to provide recipes that are simple, flavorful, and perfect for people with diabetes who are worried about improving or maintaining their cardiovascular health. 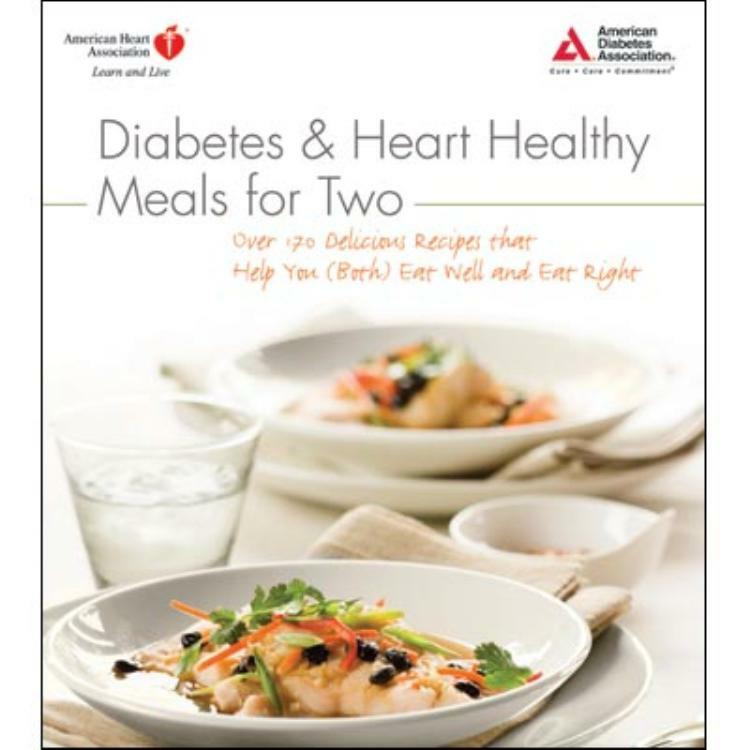 A follow-up to Diabetes & Heart Healthy Cookbook, this newest collaboration from the American Diabetes Association® and the American Heart Association focuses on meals with only two servings. Because so many adults with diabetes are older, two-serving meals are perfect for those without children in the house—or even those living alone who want to keep leftovers to a minimum. I had wanted to have a cookbook that had recipes for just two people because I do not have a big family. Thankful for the cookbook. Me and my wife love this book!!! I haven't seen this book yet but the software is forcing me to fill out this screen. Please ignore.